- Machined to Precise Tolerances. - Support the Blade Over a wide area, reducing chance of Blade breakage. - Provided with One Wrench. Available in Straight, Left and Right Hand Shanks. 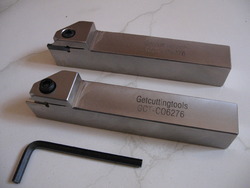 To furnish the diverse requirements of our clients in the best possible manner we are involved in offering an extensive range of Cutting Tool Holder. 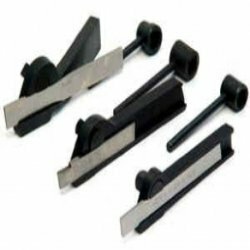 The Tool Holders are designed manufactured according to international quality standards with the given dimensions as specified in the product. Here we have Self Centering Double Wheel Knurling Tool Holder for our clients. With vast industrial experience, we are involved in offering a wide range of Tip Holder. We have an eminent name for offering a vast array of Industrial Plaza Cutting. This product is manufactured using only quality tested materials.